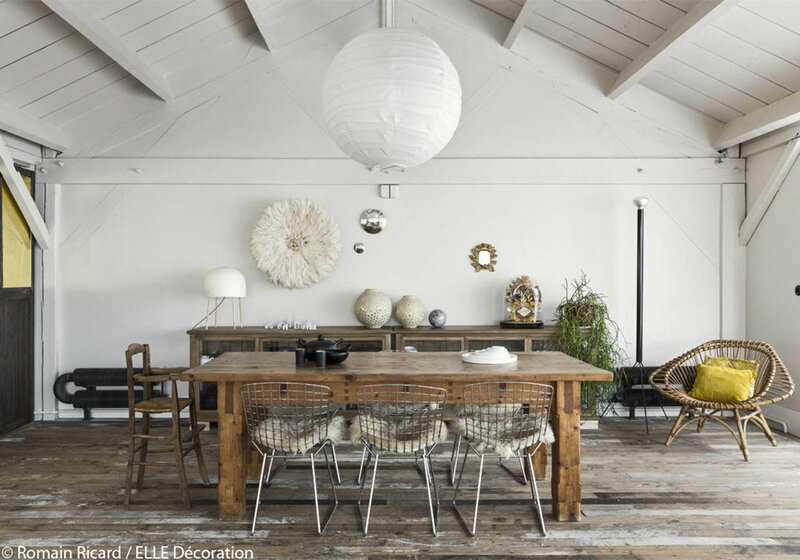 Plenty of inspiration in this french loft spotted on Elle Decoration France...An old factory in Montreuil, and home to Architect Marika Chaumet and her daughter. What I love about this is obviously the amazing architectural details that went into the renovation (check out those floors! )and of course the light... and if you look closely you can spot a few Ikea pieces like the sofa, the bookcase, the kitchen cabinets, all of which have been adapted and transformed to fit in seamlessly with the surroundings.